Dr. Becca Warns grew up in Charlottesville, VA. She graduated from Boston College with a Bachelor of Science in Biology. She later moved to Philadelphia to attend veterinary school at the University of Pennsylvania. 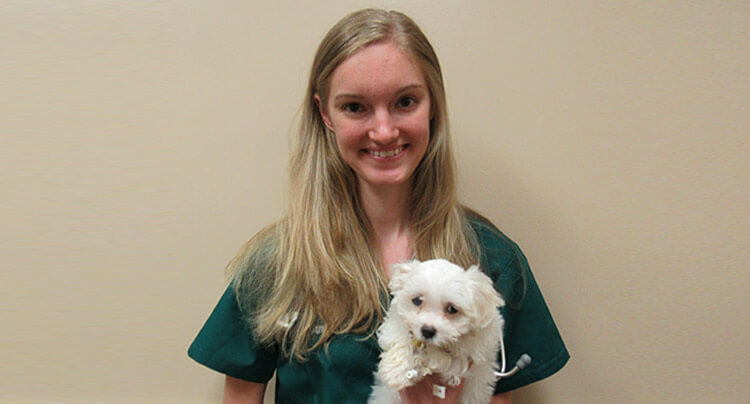 Afterwards, she completed a small animal medicine, surgery, and emergency internship in Brooklyn. Her professional interests include internal medicine and cardiology. Dr. Warns lives in Queens with her husband (Tom), their two cats (Wilma and Brooklyn), a corn snake (Slinky), and dozens of fish. In her free time she loves running, reading, spending time with family and friends, and exploring New York.